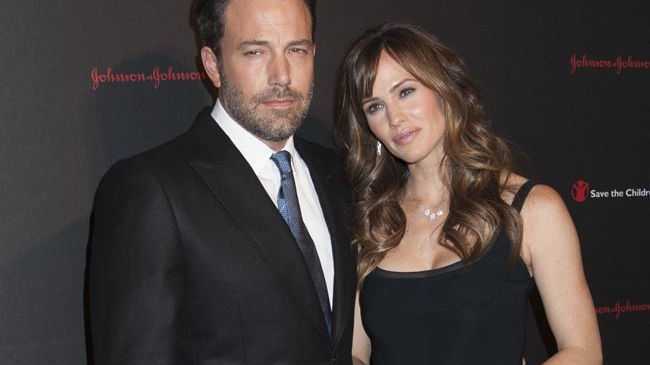 BEN Affleck and Jennifer Garner are allegedly getting divorced. The actor couple - who have three children together, Violet, 10, Seraphina, six, and Samuel, three - are reportedly considering splitting after nearly 10 years of marriage, and the '13 Going On 30' star has been seeing a therapist to deal with the breakup. A source said: "Jen has actually been preparing herself emotionally for this divorce for some time. "She sees a therapist to learn how to cope with the divorce, and how to deal with the kids after they split. She'll take custody of them." The couple, whose 10-year anniversary is coming up on 29 June, haven't been seen together in public for a month, and Ben, 42, has been spotted without his wedding ring in Canada while Jennifer celebrated her 43rd birthday on 17 April without him, but with her friends who think the 'Gone Girl' star is a "horrible fit". Speaking to Radar Online, the source said: "Often, when Ben and Jen have a problem, they just agree to ride it out and be miserable together until they can get some time apart," the insider revealed.